Going into the final day of the 2014 MLB season, there was still a lot at stake for a few teams. The NL Central title was still up for grabs between the Cardinals and Pirates. The AL Central title was still on the line between the Tigers and Royals. The Mariners still had hope of forcing a one game playoff with the Athletics for the final AL Wild Card spot. But there would be no drama on the final day of the season. The Reds beat the Pirates 4-1, handing the division title to the Cardinals before their game in Arizona had begun. The Tigers clinched the AL Central title behind a complete game shutout by David Price while the Royals weren’t even halfway done with their contest with the White Sox. 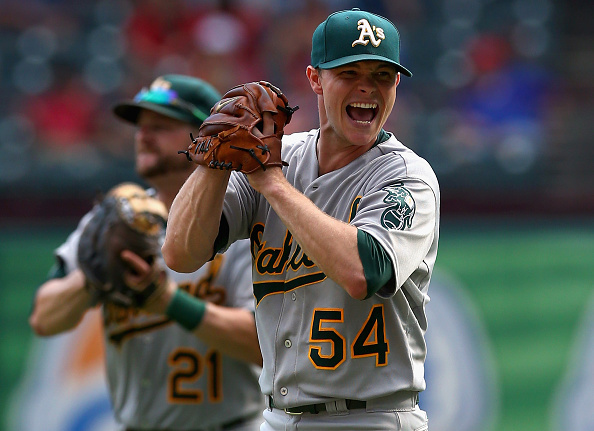 Sonny Gray sent the A’s to the playoffs with a complete game shutout of his own, leading to an emotional exist from the mound by Felix Hernandez in Seattle in the sixth inning. This year, MLB is attempting to make the final day of the season more dramatic. All 15 games will begin at 3:05 Eastern (12:05 PM Pacific). Not only will this force all teams still on the brink of the playoffs into must-win situations, it will also effectively stop teams on the edge of contention from resting starting pitchers to set up their rotation heading into the playoffs. Last year, Adam Wainwright was scheduled to start the Cardinals’ last game against the Diamondbacks. After the Pirates lost earlier in the day, St. Louis scratched Wainwright and started him against the Dodgers in Game 1 of the NLDS. Syncing all of the times also has an effect on less important parts of the game like the batting and ERA titles. Jose Altuve went into Game 162 with a three point lead in the AL batting average race on Victor Martinez. Altuve could have sat and still finished with the league lead. Both men started, Altuve went 2/4, Martinez went 0/3, and Altuve added an exclamation point to his great year. Felix Hernandez also clinched the AL ERA title in the final game of the season, throwing 5 1/3 shutout innings to drop his ERA just ahead of that of Chicago’s Chris Sale. At the very least, this will add an interesting wrinkle to the end of the season. The Barclays Premier League does the same thing with synced start times on the final day of the season, and it’s resulted in some tremendous drama in recent seasons (much to my pleasure as a Manchester City supporter). MLS will be also be adopting the practice for the 2015 season, hoping to capitalize on the chaos and excitement. I’m all for this. The last day of the regular season usually ends up as a mere formality once the 1 PM games end. Starting everything at the same time will introduce some drama to the day, and make all of the relevant games worth paying attention to at once. I can only imagine the chaos at MLB Network studios if playoff spots are on the line.